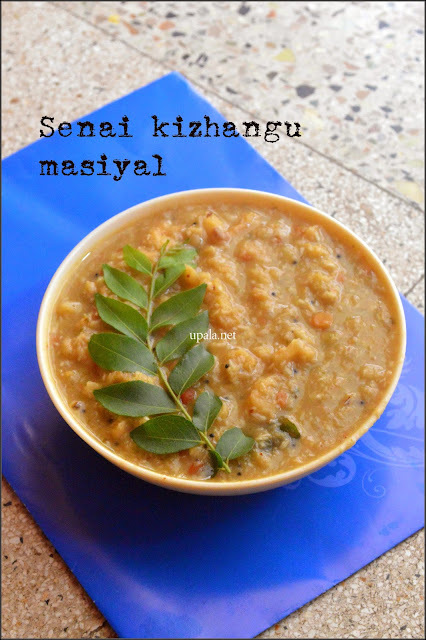 Elephant foot Yam/Senai kizhangu Masiyal is a simple yet delicious gravy that goes well with Rice. 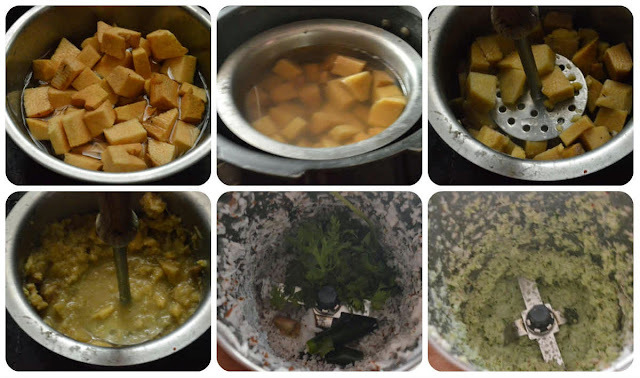 1) Peel the outer black skin of Yam and chop it into big pieces. Soak tamarind in warm water for half an hour, extract juice and discard pulp. 2) Add enough water and pressure cook for 2-3 whistles. After it cools, drain water and mash the yam. 3) Now grind all the Ingredients given in "For Grinding" to a thick paste. 4) Heat oil in a kadai and add Mustard seeds to crackle. Next add rest of the Ingredients given in "For Seasoning" and fry till light brown. 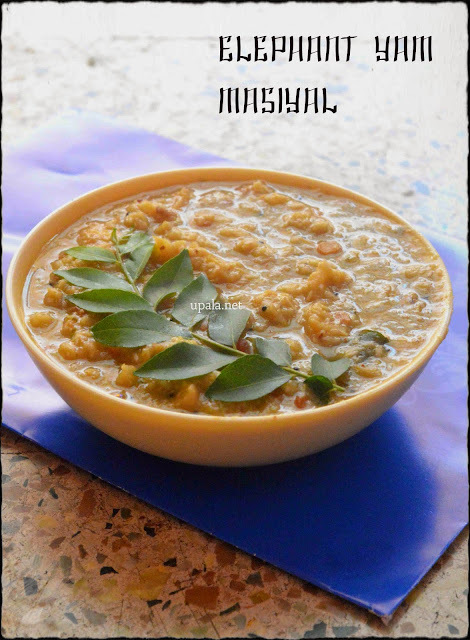 5) Now add the mashed yam, Tamarind extract, Salt and leave it to boil for few minutes. 6) Next add ground mixture and leave it to boil till nice aroma arises. Tasty Senai masiyal is ready. 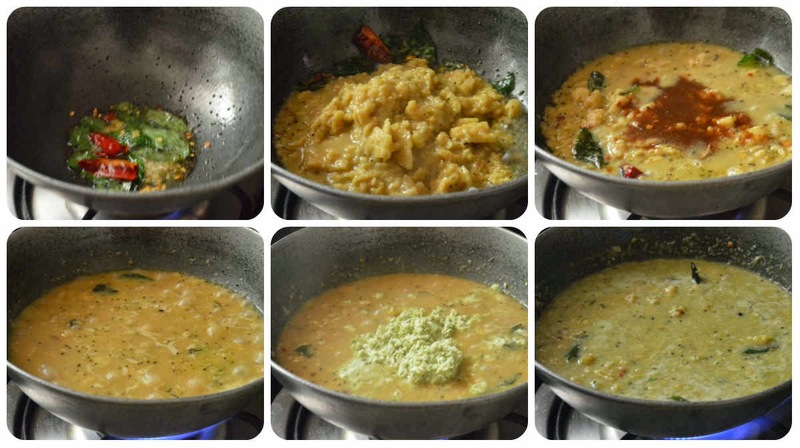 1) Instead of grinding the Ingredients, along with grated coconut you can finely chop Green chilli, Coriander leaves, Ginger and add.